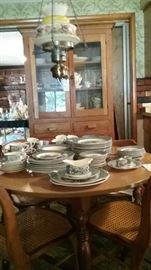 AddressThe address for this sale in North Kingsville, OH 44068 will no longer be shown since it has already ended. CASH ,CREDIT CARDS AND CHECK WITH PROPER ID. 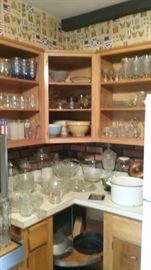 HOME OWNER AND STAFF ARE NOT LIABLE FOR ACCIDENT OR INJURY. INSIDE HOME AND GARAGE. RAIN OR SHINE. IT IS HELPFUL TO HAVE YOUR OWN WRAPPING MATERIAL. LIMITED AMOUNTS PROVIDED. 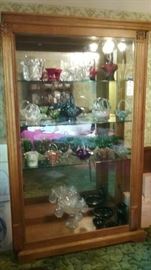 Beautiful curio cabinet containing vintage Fenton glass baskets and other glassware. 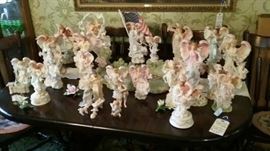 Collection of Seraphim angels, including The Pond and four of the monthly angels with pedestals and porcelain flowers. 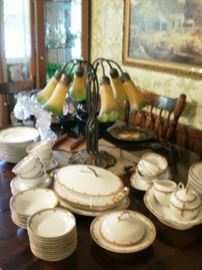 Currier and Ives dinnerware. 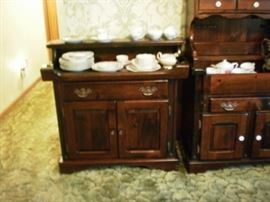 Oak hutch and caned oak chairs. 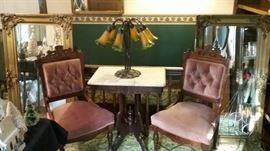 Two Eastlake chairs in front of beveled mirrors with golden frames. Rotating Christmas tree with vintage fisher price items and two metal trucks underneath on the skirt. An assortment of vintage Lefton figurines. An assortment of Putz churches and houses accompanied by vintage bottle brush trees. An assortment of Putz houses and churches interspersed with bottle brush trees. Three racks of vintage Hallmark ornaments, each in its original box. Queen size sleigh bed. Antique dolls in Eastern Europe dress. 5-drawer antique chest with harp mirror. 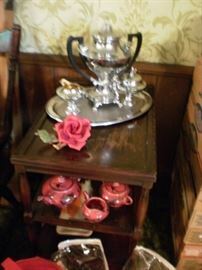 Antique washstand with Ironstone pitcher. 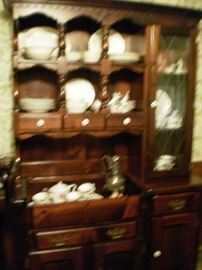 3-drawer antique dresser with mirror. Wrap-around computer desk. Black rolling desk chair. Large paper shredder. Computer monitor. 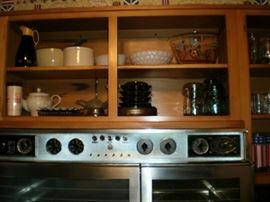 AIWA radio/stereo. VHS/CD players. Flat screen TV. Variety of old books. Many military topics. Roughly 50 vintage Boy Scout and Scout Master manuals. 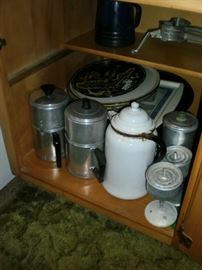 5-shelf bookshelf. Low black bookshelf with two doors. Vintage bank deposit bags. 2 foot high Sentry safe and book style Sentry safe. 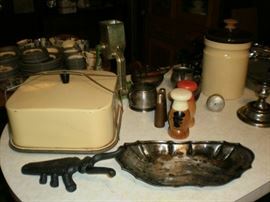 Vintage rubber stamp holder with assortment of stamps and stamp pads. Black & Decker band saw.